FPSNA is North America's only truly active non-profit organization seeking to promote and support the Fell Pony! From 2007-2010, Melissa served as the Promotions Director of FPSNA, returning in 2014 with the additional role of FPSNA Vice Chairman. In mid-2015, she began to serve in the capacity of Chairman for the association, to the present day. Dream Hayven began in WI in 2005, but moved south in 2012 for the betterment and expansion of the breeding herd. 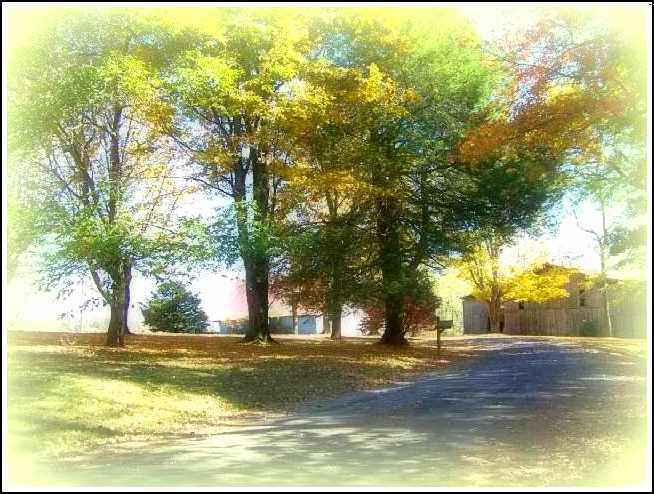 We discovered the perfect property, located in the beautiful Upper Cumberland region of Tennessee, on the Pennyroyal Plateau, with acreage that is especially suited to raising Fell Ponies. Our ecosystem is unique the world over, known as a woodland pasture ecosystem, and is identical to the ecosystem found in Cumbria, England! It is also the same system that envelopes the Bluegrass region of Kentucky, renowned as a horse breeder's paradise. Our water comes from the Bennett Hill Spring, a limestone aquifer known since the 1800's for its healing properties, and good enough to be bottled locally by Nestle! We have hills, valleys, forests & streams in the fields that the herd roams freely all year. This environment closely mirrors the Fell environment of northern England, the homeland of all Fell Ponies, and ensures that the heritage traits so inherent in this breed will continue to survive in the Dream Hayven prefix. The farm includes two large barns (one for livestock and one for storage of hay & equipment), a large corral for the safe training of young stock, an outdoor arena, and a newly constructed maternity barn and birthing stall. Natural trails abound in the area. The first thing you see when arriving at Dream Hayven. My name is Melissa Kreuzer, and I am the owner of Dream Hayven Farm, LLC. I have been breeding, raising and training Fell Ponies exclusively since 2005. Prior to discovering the Fell Pony, I earned my degree in AgriBusiness with an Equine Management major. 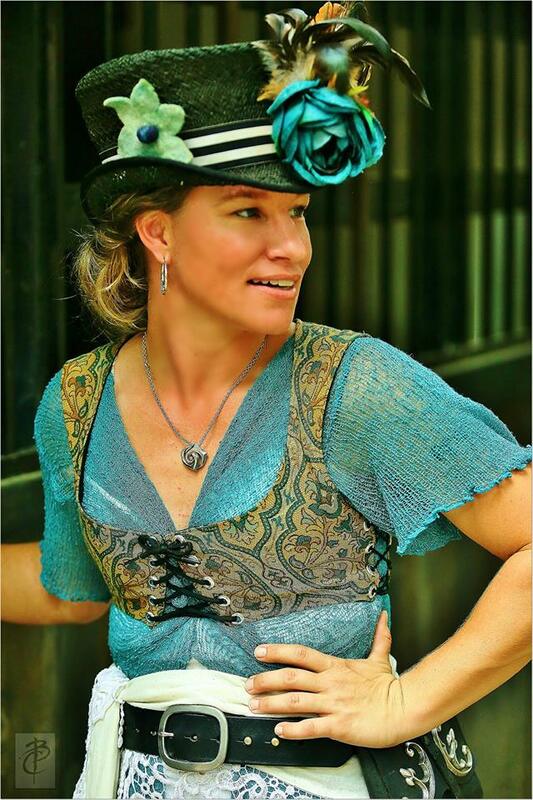 I spent several years working professionally in the equine industry prior to beginning my own farm. Managing Dream Hayven is my full time job. The proper stewardship of the Fell Pony is of the utmost importance to me, which includes sharing this rare English treasure with as many people as possible! As often as feasible, I visit the birthplace of the breed in Cumbria, England, where I have been able to learn from and network with owners, trainers and breeders of these special ponies. In that regard, my sincere appreciation and respect go out to the handful of English breeders who have devoted their lives to preserving and continuing the breed as it has existed for generations. Pictured at right is Melissa in 2014, photo credit Belinda Bo Couch. Follow Dream Hayven Farm, LLC's board Barn & Tack Room Inspiration on Pinterest. 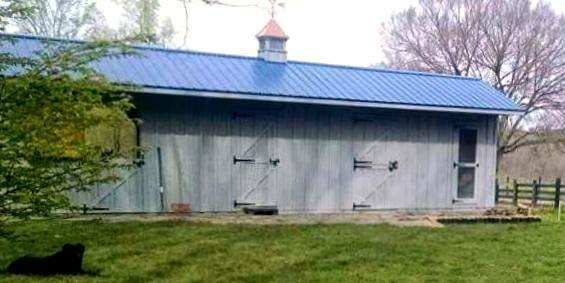 Our custom built maternity barn.